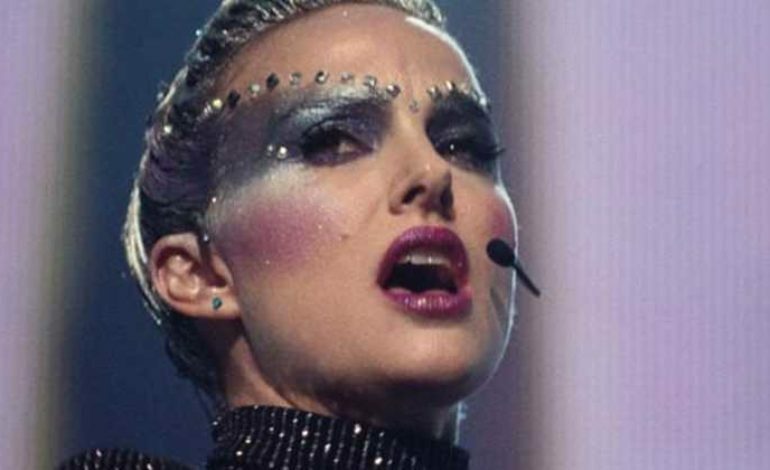 Debuting at the Venice and Toronto International Film Festival next week, Vox Lux delivered a teaser trailer to get fans salivating. The trailer is simple with the appearance of a woman (assumingly the star of the film, Natalie Portman) walking in a fabulous costume down a hallway toward thousands of screaming fans. The stage crew and handlers are all getting into position in the darker shadows on either side as Portman moves towards the lit stage. Simple? Yes. But effective in making viewers want more. Vox Lux is a film about the life of a popstar. The first half of the film takes place in 1999 when a horrible catastrophe inspires two sisters, who endured the tragedy, to write of their suffering so as to bring hope to the situation. Raffey Cassidy and Stacy Martin portray the teenage sisters Celeste and Eleanor. The two decide to perform their song only to catch the eye of their future manager (Jude Law) as they move on to stardom. The second half of the film follows adult Celeste (Portman), now a huge popstar, who is a mother with a teenage daughter of her own. Cassidy makes a duel appearance as she plays both young Celeste and the daughter of Celeste as an adult. Portman’s character struggles trying to juggle being a mom and pilot a career in a spotlight that is full of scandal. Brady Corbet is the brains behind this operation as both writer and director of the original film. Vox Lux will be the second film Corbet has commanded following his directorial debut of The Childhood of a Leader. In addition to the star-studded cast of Vox Lux, Corbet also brought on Sia to write the original songs and Scott Walker to compose the score for the film. As more details of the film come to light, the intrigue for Vox Lux becomes more enticing. Vox Lux premieres on September 4 at the Venice Film Festival and September 7 in Toronto. Although a US release date has yet to be announced, it will likely be sometime in 2019. Check out the teaser trailer below to catch your own glimpse of Natalie Portman.